Before the Awards even started, BAFTA Kids was working its magic. 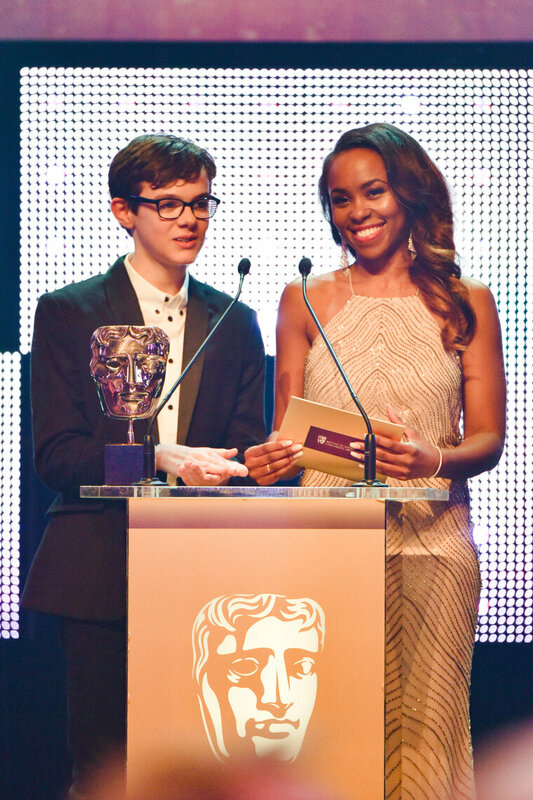 Children’s television presenters Lauren Layfield and Ben Shires hosted a Masterclass on Presenting with children from schools in Islington and Ealing in London, supported by Place2Be, as part of the BAFTA Kids Red Carpet Experience. The young guests, which included the finalists of our 2018 Young Presenter competition, were given the opportunity to interview Layfield and Shires, as well as special guests Katie Thistleton, song and dance troupe KIDZ BOP Kids and actor Dasharn Anderson (Hetty Feather), pictured. The children went on to line the Awards’ red carpet to collect autographs from their favourite celebrities arriving for the ceremony. Meanwhile, Layfield would present the Digital award with Layton Williams to winners Keith Davidson, Peter Hickman and Phil Hoskins for Hey Duggee: The Counting Badge. 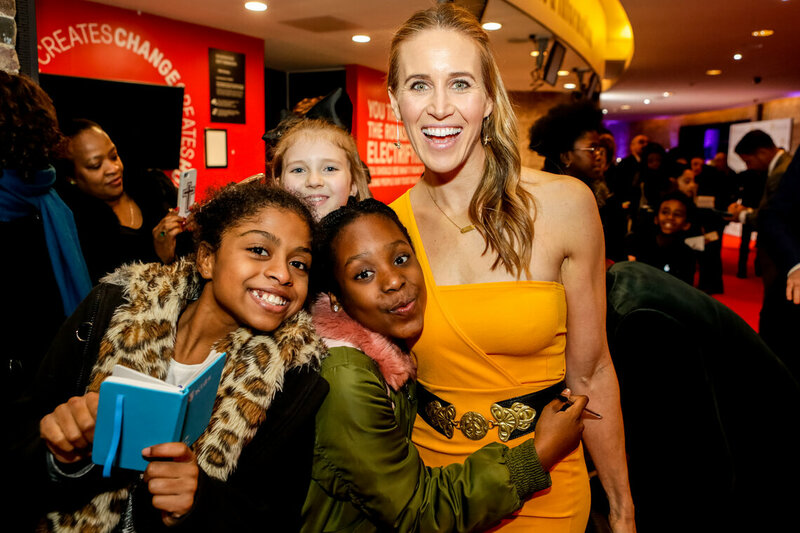 The incredible Helen Glover poses with some young fans on the red carpet. The two-time Olympic champion, triple World champion, quintuple World Cup champion and triple European champion presented the International Animation category later than evening, which was won by SpongeBob SquarePants. Glover’s husband, BAFTA-winning naturalist Steve Backshall, was also nominated in the Presenter category for his Deadly Dinosaurs series, unfortunately missing out this year to Justin Fletcher. YouTuber Joe Sugg and his Strictly Come Dancing 2018 partner Dianne Buswell ditched the chiffon and sequins for BAFTA’s gala event, but looked no less dashing and delightful. Sugg presented the Channel award later on, which was won by CBeebies, the sixth time it has triumphed since the category was introduced in 2006. Did Sugg and Buswell manage to glean any advice on how to capture that winning formula, though? 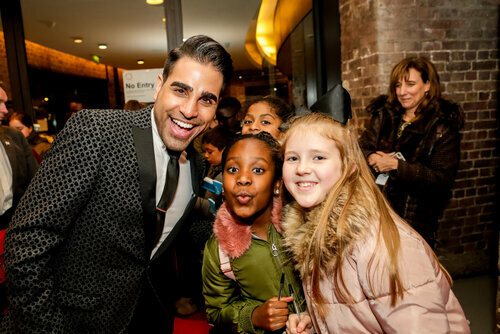 Dr Ranj Singh (another Strictly 2018 contestant – he bowed out in week seven) arrives on the red carpet and strikes a pose with some of his fans. The Singh-fronted series Get Well Soon Hospital won the Pre-School – Live Action category later that night, with Helen Sheppard, Helen Scott and Trevor Neal collecting the award. 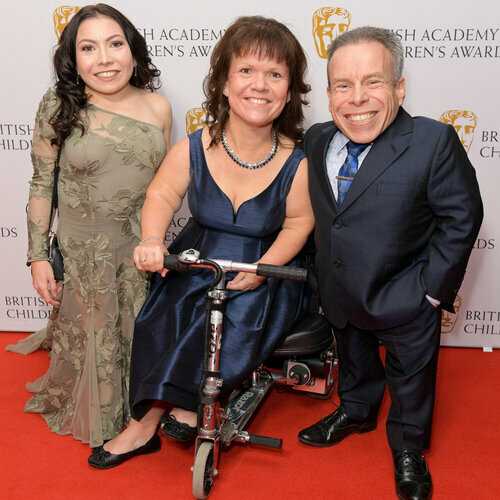 The Davis family were out in force, with dad Warwick presenting the Feature Film category (won by Paddington 2) and daughter Annabelle nominated in the Performer category for her role in The Dumping Ground. Mum Samantha must have been very proud. Now if this isn’t a fabulous line-up of children’s television talent we don’t know what is. 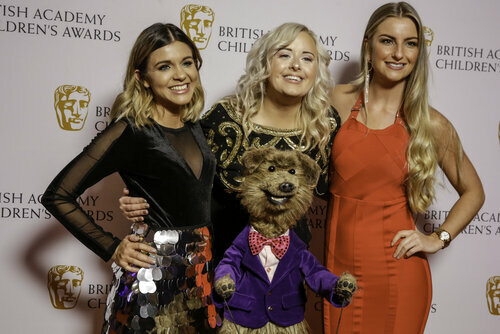 Hacker T Dog finds himself flanked by Lauren Layfield (left) and Katie Thistleton (middle), with BBC and CBBC floor manager Megan Worne (right). The auditorium is packed, the hosts are prepped, the cameras are ready, the awards are waiting to be won. Let’s go! 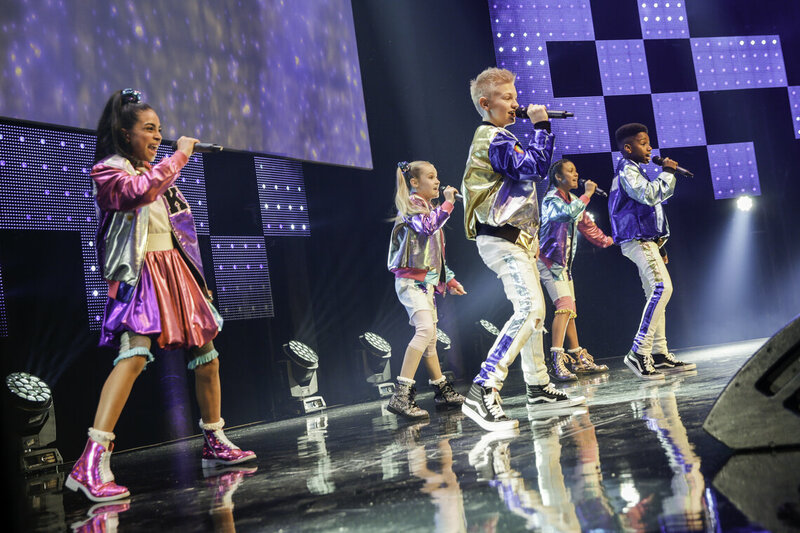 Energetic children’s song and dance troupe KIDZ BOP Kids hit the stage, performing some Ariana Grande and Little Mix hits that left everyone in the Roundhouse breathless. BAFTA’s Young Presenter competition entered its third year in 2018, with the winner – 13-year-old Daniel, from Chesterfield – officially announced in October on ITV’s The Big Audition, a series that peaks behind the scenes of the casting world. After reporting on the red carpet before the Awards, Daniel joined another The Big Audition star, actress-singer-dancer and new presenter of CITV’s Scrambled, Kerry Boyne, to present the Short Form award on the main stage. The category was won by Adam Tyler, Bob Ayres and Antonio Rebolo for Origins. He’s made a pretty good start. 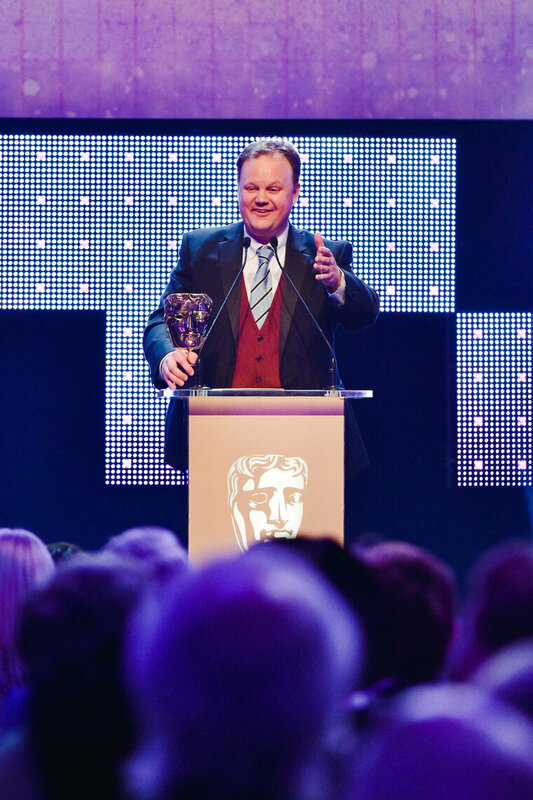 Since he was first nominated at the Children’s Awards in 2007, Justin Fletcher has won an incredible four BAFTAs, all in the Presenter category. Remarkably, although nominated 10 times, for various different shows and roles, all four wins have come for his presenting of Something Special (in 2008, 2010 and 2012). As a record of success, it truly is something special. Back stage, Maddie Moate has her make-up retouched before announcing the winner of the Performer award – she bagged a BAFTA herself at last year’s Awards for Do You Know?. This year, Tom Courtenay won for his role as Grandpa in Grandpa’s Great Escape, which was collected on his behalf by David Walliams. It was Courtenay’s fourth BAFTA – his first came in 1963 for Most Promising Newcomer at the Film Awards, for his unforgettable performance in The Loneliness of the Long Distance Runner. The inaugural Director category was won by Grant Orchard, for Hey Duggee. Here he poses for press shots back stage with citation reader Dani Harmer, aka Tracy Beaker. 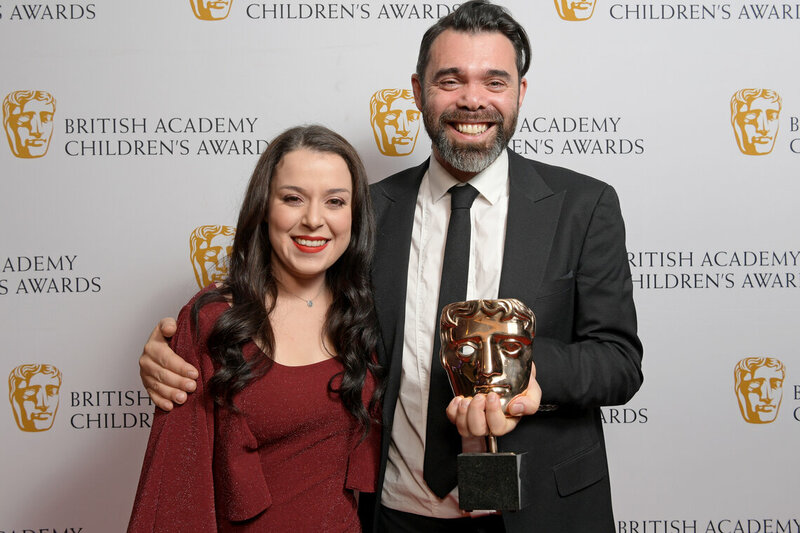 Orchard’s win was one of three BAFTAs collected by Hey Duggee, which also added the Pre-School Animation and Digital categories to its winning tally. Two tributes were made at the Awards, both celebrating remarkable milestones in children’s media. Here, poet Tony Walsh delivers his fantastic poem about Blue Peter, which was celebrating its 60th anniversary in 2018, making it the longest-running children’s television programme in the world. 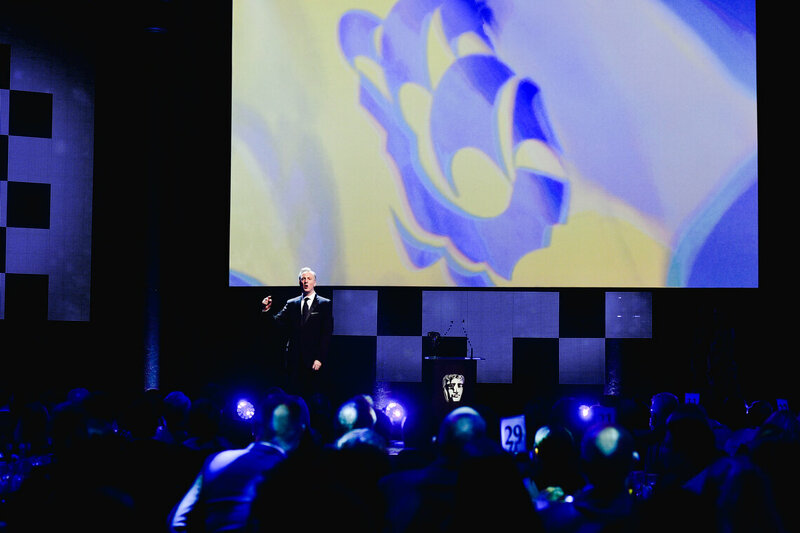 BAFTA also celebrated the 90th anniversary of Mickey Mouse, including a special guest appearance by the iconic character. Editor, director and producer Clive Juster joins an enviable line-up of recipients of the Special Award at the Children’s Awards, including such luminaries of children’s media as Biddy Baxter, Floella Benjamin, Brian Cant, Brian Cosgrove, Peter Firmin, Tony Hart and Jacqueline Wilson, to name a few. He was presented with the award by the 2000 recipient of the honour, Anne Wood. 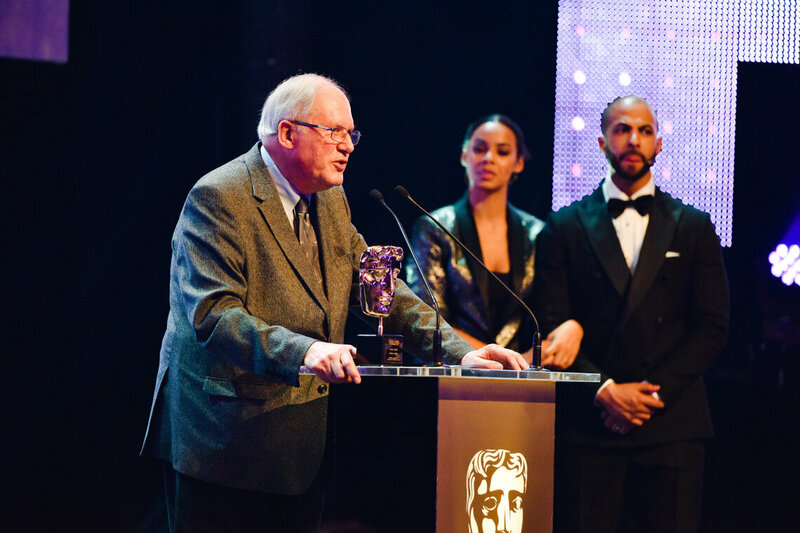 Captured in the background are the Awards’ hosts, Rochelle Humes and Marvin Humes. Paul Elliot, one half of the Chuckle Brothers, who were presented with the Special Award in 2008, was also in attendance at the event. As he walked to the stage to present the Entertainment award – won by Prosiect Z’s Aled Mills and Ioan Thomas – he was met with a standing ovation in recognition of his work with brother Barry, who died in August this year. Not every BAFTA Awards after party comes with a free sweetie stand – although now that we think of it, that’s a brilliant idea. 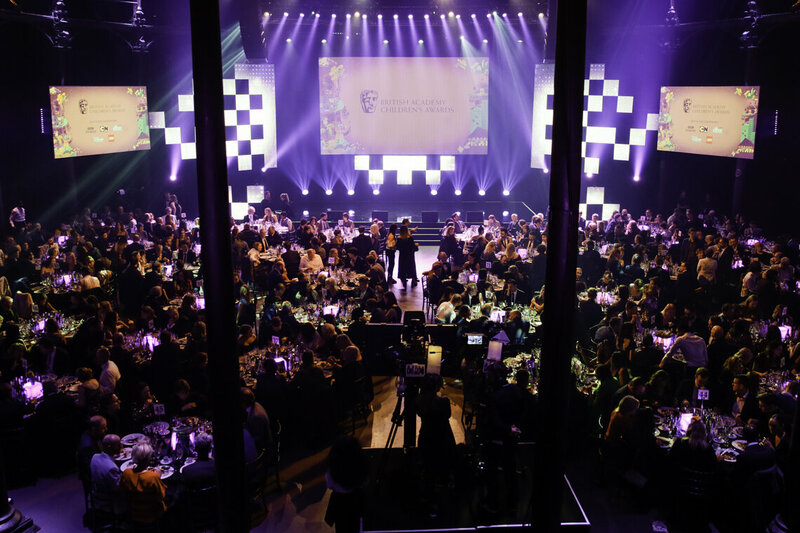 Congratulations to all the winners and nominees of the British Academy Children’s Awards in 2018! For the full line-up, click here. Watch the ceremony in full here.